SDPA works with Youth Courts and Juvenile Detention centers within the southern region of the United States to offer quality educational support and services for students. Our intensive and comprehensive programs offer rigorous and relevant best practices that improve student outcomes. 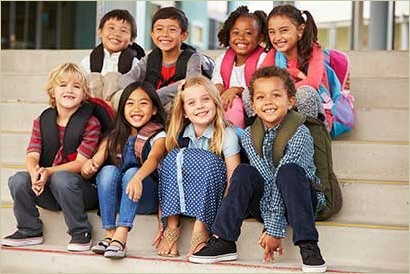 Each student is assessed so that individualized academic and support plans may be implemented to ensure success throughout detainment and upon completion of his/her court ruling. Our comprehensive academic programs are aligned with state-approved standards and focus on the following areas, which include differentiated online instruction that will improve students’ understanding of critical math concepts, problem-solving skills, reading, and writing. The Southern Dropout Prevention Alliance collaborates with each child’s school and district to ensure success. SDPA is committed to adequately preparing each student with college and/or career readiness skills to increase the likelihood of success following release and decrease the recidivism rate of the youth court and juvenile detention system. We address the academic, social, and emotional needs of all students. We help students develop S.M.A.R.T. goals. Our goal is to ensure sustainability in decision making and to encourage every child to graduate. We offer 1 to 1 Mentoring, Group Mentoring, and Career Mentoring. Mentoring supports relationship between a mentor and a mentee built on trust. Mentoring has been a practiced art of developing and maintaining positive and helpful human relationships for hundreds of years, by nearly every culture, by varied individuals and groups, and in many different ways. It has survived the test of time and has been of enormous value to each mentee involved in a mentor program. It has proven to be effective with many different youth groups but has been extremely effective with youth in at-risk situations. **This data was collected between 2009 and 2012 including 10,275 students in 40 schools districts. Mentoring is a community development program that changes the structure and institutional boundaries of the community and the vision of the mentee. It serves as a powerful human force in a school, community, or state that can change the vision, health, or the economic base of the community. Mentors have the power and influence to change the negative cycles of their mentees and their families. The impact of mentors in a well-structured mentor program is boundless and serves as a powerful low-cost, low-tech strategy to help rebuild the dreams of youth in at-risk situations. Mentoring is clearly an effective strategy for keeping students in school. All of our mentors will be trained and certified and utilize modules to assist students with life skills, self-discipline, respect, educational excellence, achievement, personal responsibility and career exposure. To become a mentor, please contact us.